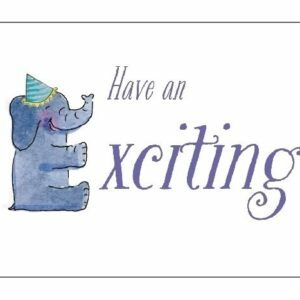 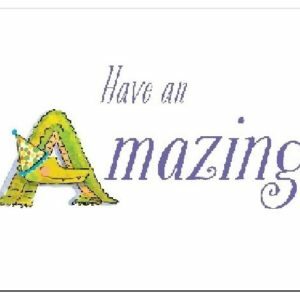 This cute kid’s birthday card Have A Happy Birthday Filled With Friends and Fun! 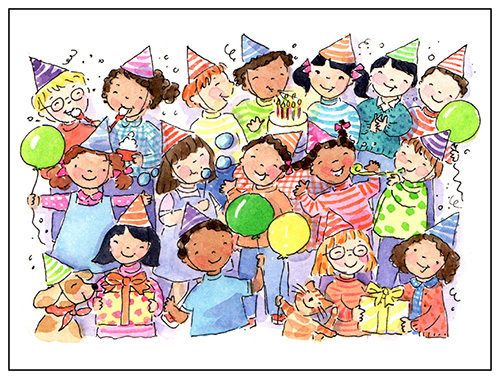 has a fun illustration by artist Shelley Dieterichs on the front of friends wearing party hats and sharing presents and cake and balloons. 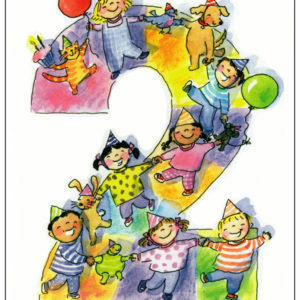 Shelley has illustrated many birthday cards for kids in her charming, whimsical style. 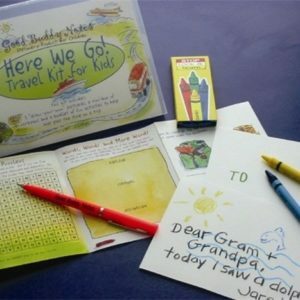 There are also many kid’s friendship, get well, holiday cards and even personalized birthday cards in the Good Buddy Notes store!